Niddocks is an online marketing company focusing on catering cost effective web marketing for small, medium and large businesses around Cornwall, the Island of Scilly and Devon. Niddocks was founded and rooted out in March 2003 by Rob Edlin and Andrea Edlin. Rob and Andrea started to provide online marketing training and consultancy for companies wishing to improve their paid search, natural search marketing, SEO and other forms of online marketing. Niddocks Limited is a proudly said to be partner of Google and Google Analytics Certified Partner,To know more about us and for essential information or to discuss your requirements in more detail, feel free call us on 0845 258 1070 or e-mail us at nfo@niddocks.com. Most people who have “had a go” at setting up their own Google AdWords campaign fail. 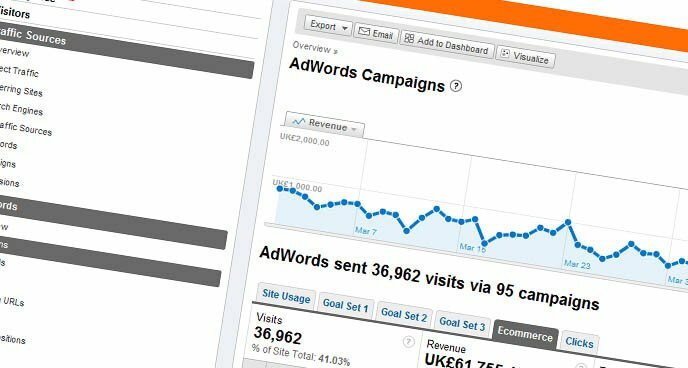 In some cases, we hear horror stories of thousands of pounds being wasted for no or little return to the business.Since its launch in 2000, Google AdWords has grown from strength to strength, the simple to use system allows businesses to promote themselves almost instantly on Google’s search engine, its search network and other websites too. Running a good Google AdWords campaign takes time, experience, care, attention and a great deal of monitoring and revision to Ads. Our Google AdWords professionals have the experience and knowledge required to set-up and maintain an effective campaign for your business, allowing you the time to do what you do best – run your business. We have a number of options for setting up and running a Google AdWords campaign from instructor lead workshops through to dedicated campaign management, either way, with a Google qualified individual you have the peace of mind that you have somebody who knows what they are doing on your side.If you’d like to know more about how we can help your business start using Google AdWords to boost your business or recover a failing or poor performing campaign, call us now on 0845 258 1070 or email info@niddocks.com. The growth of use of devices such as the iPhone, iPad and Android devices in recent years has been immense.Some of our clients are now experiencing upwards of 20% of users of their websites using mobile devices.Which ever way you look at it, and for pretty much every industry on the planet, you need to be thinking about how to make the best use of this ever expanding phenomenon. 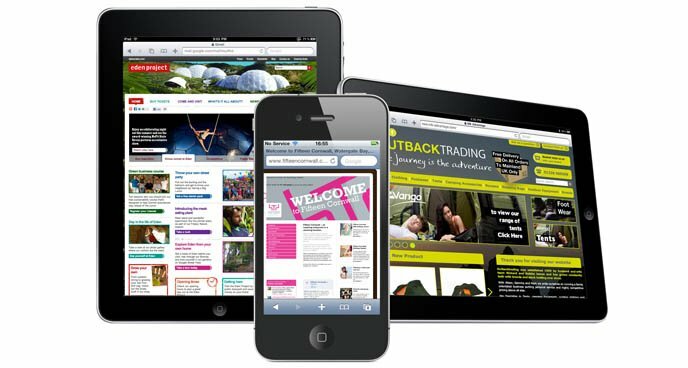 We have been working with Google over the last few years to refine our Mobile Marketing and Advertising offering for our clients. Typical campaigns can include very specifically targeted audiences in very specific geographic regions, for example; a tourism accommodation provider can make sure that only people in a particular town, city or region see their Ads which drastically increases conversion rate as it excludes traffic from areas of the country that are less likely to book. With the very exact nature of location targeting, we can show your Ads to people in a very tightly focussed area, for example; a restaurant could ensure that only people on mobile devices who are within 10 miles of the restaurant see their ads and can get found for some very general key phrases. Google introduced “Click to Call” functionality to Adverts in 2010 allowing your customers to connect quickly and efficiently over the phone, they simply search for you or your services, see your Advert with your telephone number on it, click the number and then call you!If you think that mobile advertising isn’t for you, think again, take a look at your Google Analytics account and check out the number of people who are looking at your site now via a mobile device, you may well be surprised! We can help you develop a mobile advertising strategy and build, manage and maintain your campaigns for you to give you the edge on your competition and help you make it easier for the millions of mobile users out there.For more information, please call us on 0845 2581070 or email info@niddocks.com. Tens of Millions of people use Social Media platforms such as Facebook, LinkedIn, Twitter and blogs every day.You can reach out to these people via Social Media Advertising on a Pay Per Click (PPC) or a Cost Per Mille (CPM) basis.Most of the social networks now have their own advertising platform that we can use to target a specific audience, many of these platforms have quite detailed demographic targeting options too which allow you to really focus tightly on your particular audience. For those platforms that do not have a specific advertising platform, we can usually target them using either Google AdWords or via other advertising platforms.Social Media Advertising can take many forms including brand campaigns, targeted product placement, poll-based campaigns and social search to mention just a few.We can help you establish your Social Media Advertising strategy and work with you to plan, build and manage your campaigns. Formally Google Local, Google Places offers businesses the opportunity to publish details of their offices in Google’s search results. The Google Places system allows you to provide detailed information about your business, it’s location, the area in which it operates and the services or products it provides. Google often rank the Places results higher than organic results for certain search phrases and in some cases, they merge the organic search results with Google Places listings, with this in mind, it’s essential that your Google Places listing is set up correctly and optimised for the categories within which it resides.We offer a Google Places account setup service in addition to a Google Places optimisation service. Many e-retailers are not aware of this fantastic service from Google which can bring thousands of pounds worth of additional revenue and really boost an ecommerce site turnover.Google Merchant Center is the system that powers the shopping results that you’re probably familiar with when you do a search in Google for a product. We believe that every site that sells or promotes a product online should use this system. 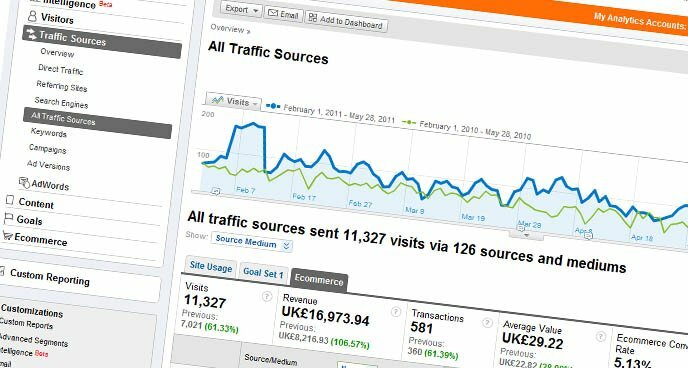 After the initial setup, every visit to your site is free and if you set things up correctly, you can track all sales made from Google Merchant Center in Google Analytics.Millions of searchers find the shopping results useful and as a result, they click on the results that take them directly to the product that they want. We take a structured approach to Google Merchant Center, initially we set up a pilot product feed to send all product details up to Google manually, once we have proven that it works for the site in question, we then work with the site’s web developer to produce an automated and optimised feed to make sure that the site receives as many sales as possible from this.The requirements for Google Merchant Center change frequently as Google work to improve the quality of this system, we keep on top of this on behalf of our clients and advise them when changes are required.Whether you have an online shop already or are thinking about launching one, speak to us now about how we can help you start getting sales quickly from Google Product Search.